The Pure Evoke F4 is now discontinued. You may be interested in the newer Pure Evoke F3 which adds Spotify Connect and a colour screen. 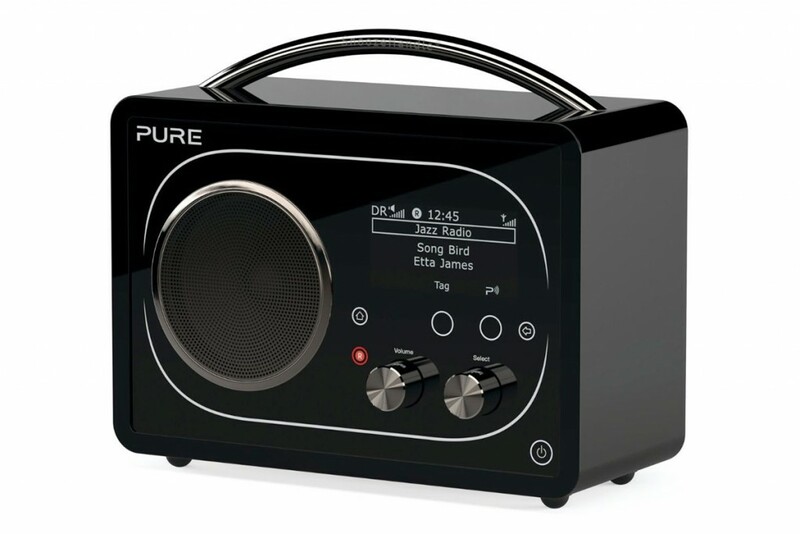 The Pure Evoke F4 with Bluetooth is one of the most feature-packed digital radios. Not only can you listen to digital and FM stations, you can also tune into internet radio stations and stream music from your phone or tablet via Bluetooth. A high quality piano black case matched with a clever silver snooze handle and high contrast OLED display means the Pure Evoke F4 is at home in any kitchen, living room or study. The Pure Evoke F4 takes instant and timed recording to a new level for a digital radio. Rather than using a SD card for short recordings, the radio can record around 15 hours of digital radio to a 2GB USB memory stick. A rechargeable battery (available separately), headphone output and auxiliary input make the Evoke F4 an exceptionally versatile radio. By combining FM, DAB digital radio and internet radio in a single device with 40 presets you’ll never need to switch between radios, smartphones and laptops to find and listen to your favourite stations. You can also take advantage of the Evoke F4’s 3.5″ speaker to listen to music and podcasts streamed using Bluetooth from your Apple or Android smartphone. Verdict: The Pure Evoke F4 with Bluetooth and internet radio is one of the most feature-packed digital radios available today.